Rat CentralAll Information About Keeping Pet Rats. All Information About Keeping Pet Rats. When one has some furry friends as friends, they will always be curious to know what might be good for them and what might not be good for them. This information will prove to be a lot useful in the long and healthy life of your pet. Especially, other than maintaining their fur and bath, it is the knowledge of food which will help them the most. This will keep your rat healthy and will make sure that you have a good time with your cute pet. There is a long list of food items which are good for your rat to have and which are not good for your rat to have. One must make sure that you go through them thoroughly and feed your rat the right food. A big Yes!! 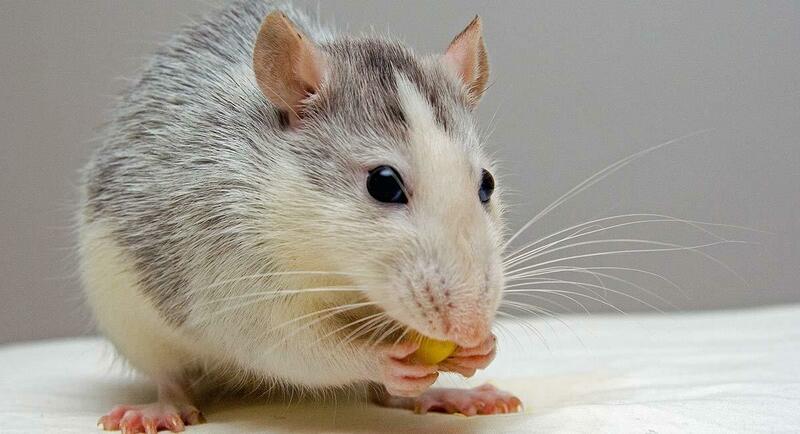 Scientists have carried out many researches and have found that Grapes are very good for Rats. They are very healthy for rats, especially purple grapes which has anticancer elements which can help in curing cancer in rats or keep them away. How to feed grapes? How To Feed Grapes To Rats? Rat generally don’t eat the skin of grapes and directly eat the inner fruit. But at times, consuming the outer skin might result in choking. So the best way to feed grapes is by cutting them into half and then peeling them away. If they have seeds, make sure you remove seeds before feeding. They contain antioxidants and are rich in vitamin A and C at the same time. They present a wide range of vitamins and keep the cost low at the same time. Thus, being vitamin rich and perfectly suitable for rats body, grapes prove to be a great food for the rats. Especially, Purple grapes have anti-carcinogenic effects keep this major health hazard like cancer away. Most probably your friend will enjoy having grapes, like most other rats. Apart from having these health benefits, grapes are very economical and will be light on your pockets. 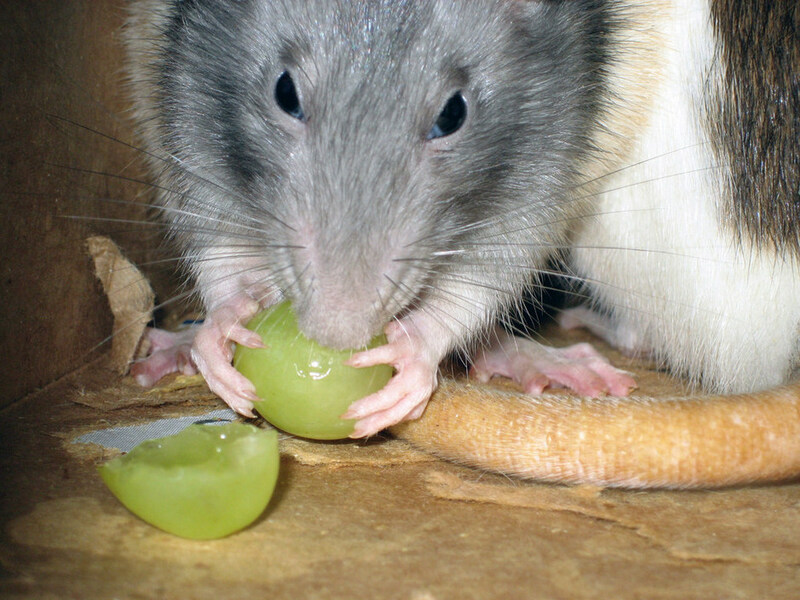 While rats might not like the same food every time, but feeding grapes every now and then will do. Health wise, there are very little or no disadvantages in feeding rats to your grapes. But practically, there can be some concerns while feeding grapes. As grapes have a very thin skin which is not easily chewable and digested, it is necessary to remove them before feeding them. They might have seeds which are another major concern, but one can opt for seedless grapes to reduce ones efforts. Other than these above mentioned disadvantages, there are is absolutely no reason not to feed grapes to your furry friend. 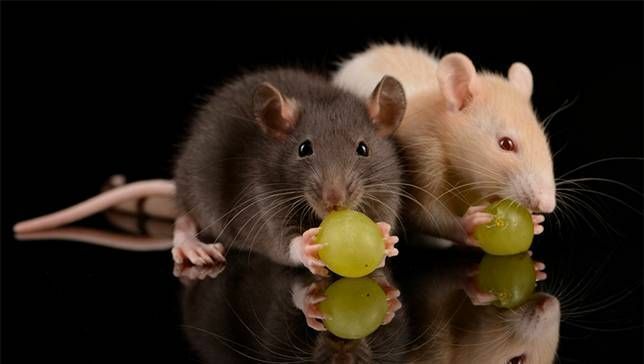 Also, as rats bite food into small pieces, grapes are lot less messy than other food like bread.above mentioned disadvantages, there are is absolutely no reason not to feed grapes to your furry friend. Also, as rats bite food into small pieces, grapes are lot less messy than other food like bread. Make sure you feed your beloved pet the right food in the right amount and take all necessary health precautions. Get the necessary health precautions on our official website.